The torque wrench tester of the PCE-FB TW series can test torque wrenches up to 500 Nm, depending on the sensor. Due to the precise evaluation electronics, the torque wrench tester has a measurement accuracy of 0.5 % of the measurement range. The torque wrench is fixed by means of a 1/4' female square. The torque wrench tester consists of an evaluation unit and an external torque transducer with a cable which makes the measurement setup convenient. Torque wrenches can be tested in both directions. 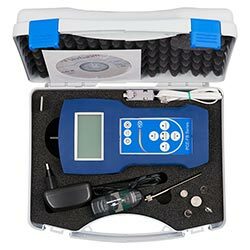 The limit value function of the torque wrench tester makes it possible to set an acoustic alarm which is triggered when a pre-set torque is reached. The torque wrench tester indicates the PEAK value (maximum value display) as well as the force path and also offers the possibility of a statistical evaluation of the measurement process. 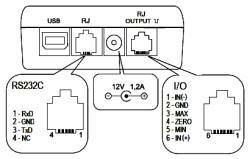 The measurement results can be saved to an internal SD card and can be read out on the device or a PC. 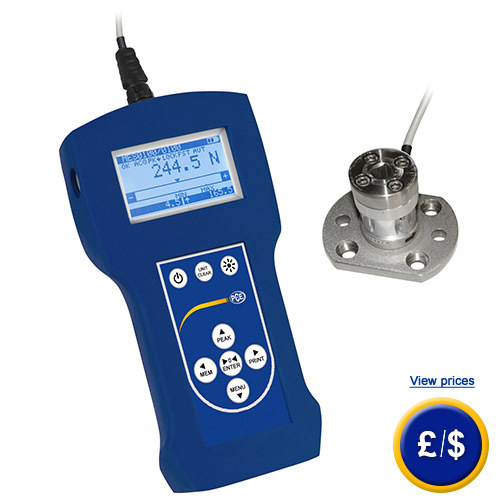 The PC software for the torque wrench tester is included in the standard delivery. If you have any further questions there are any questions on the torque wrench tester, please have a look at the following technical data or use our contact form or call us: UK customers +44(0) 23 809 870 30 / US customers +1-410-387-7703. Our technical staff and engineers are happy to advise you regarding the torque wrench tester or any other products from the areas of control systems, laboratory equipment, measuring instruments or scales / balances available at PCE Instruments. internal memory and mini SD card memory. 4 x Ni-MH 2700 mAh AA rechargeable batteries (exchangeable) or mains adaptor ~230 V / 12 V; 1.2 A incl. Torque wrench tester: information such as battery level, sampling rate, force, Min and Max at a glance. Torque wrench test device: Evaluation of memory as a diagram; several measuring points can be retrieved. Illustration of the frequency distribution in the torque wrench tester of the PCE-FB TW series. Statistical function of the torque wrench tester with possibility to save the measuring sequence internally. For companies that wish to incorporate the device into their array of internal quality control tools or for annual recalibrations. The ISO certificate includes a calibration and a document containing all the taken readings. The emitter is at ground – GND.